Bonsai Album for Mac – Now Available! Bonsai Album for Mac is now available for direct download from my site. Bonsai Album makes keeping track of your bonsai or penjing collection easy. Track development of your trees throughout their lives, on your Mac! 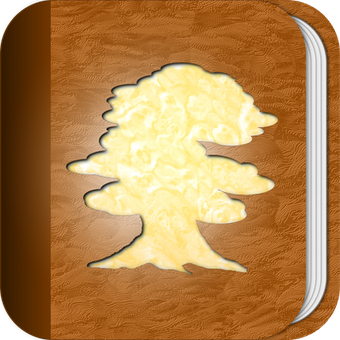 Today I’m pleased to present my new Mac app, Bonsai Album. It brings the features of the iOS app to the Mac platform, with some nice additions including photo organization, enhanced search, and printing capabilities. If you’ve got a Mac with Retina display, you’ll also appreciate how Bonsai Album looks in glorious high-resolution. Bonsai is an art and science with international appeal, a fact that was heavily reinforced after I released the iOS version of Bonsai Album in English back in 2011. Over the following seven months I received many emails and reviews from across the world requesting localization into other languages. Shortly thereafter I released multiple app updates providing support for an additional six of the most popular languages used by my customers. Like the iOS version, Bonsai Album for Mac has been localized into English, Japanese, French, Italian, German, Spanish, and Portuguese. To assist international visitors to this site, I’ll soon be adding a series of posts containing localized versions of the app description and screenshots. The download version initially runs in an unregistered trial mode, limited to 3 bonsai, 3 pots, and 3 logs, with 3 photos each. In this mode it also only allows a single database window, and database import is disabled. You may purchase a license either within the app or via the Web Store to unlock the app’s full functionality. After it’s unlocked, this version contains the same features as the forthcoming Mac App Store version, including an automatic software updating feature. You can find more details including screenshots and the full list of features on the Bonsai Album for Mac page of my site. What about the Mac App Store, you may ask? I submitted the app to Apple yesterday, so it’ll probably be another few weeks before approval. Meanwhile, feel free to download the trial version here and take the app for a spin while you wait. I’d like to thank all the wonderful Beta testers who helped refine the app into its final form. I received a lot of great feedback over the last month that helped improve the app and allowed me to identify some issues I might otherwise have missed. I’d also like to thank the open source community, including Andy Matuschak for the indispensable Sparkle updating system, Andy Kim and Matt Gallagher for LetsMove, Bit Stadium GmbH for HockeyApp, Gleb Dolgich for the fantastic CocoaFob, and FastSpring for their customer service and handy FastSpring Embedded Store. If you’re a Mac developer, I highly recommend you check out all of the above. I hope bonsai fans around the world find Bonsai Album for Mac a useful and enjoyable tool for tracking your bonsai collections, and I welcome any feature suggestions or comments you may have. Enjoy!